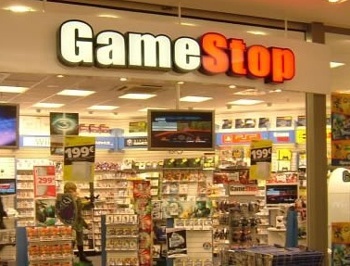 A GameStop employee who gave an interview in which he said the infamous RapeLay is "nothing more than a game" found himself fired shortly thereafter, but the reason for his dismissal may have less to do with the game than with how he got it. Near the end of April, Derek Littlejohn spoke with The Globe about the durably controversial Japanese videogame RapeLay. Littlejohn's opinions were a focal point of the article because he'd been an employee at GameStop for two years and was thus presumably something of an authority on videogames. "I've both heard about and played RapeLay myself, and I find it as nothing more than a game," he said. "It's relatively easy to pirate these games, when all one has to do is type in the name of what they want and add 'torrent'. Usually, some sort of link turns up," he continued, explaining the futility of banning the game. "Kids know technology in this day and age, and these games are not hard to find." Furthermore, he said, people who "put in the work and dedication" to create something, even something like RapeLay, should have the right to present it to the public. A few days later, according to Game Rant, he was fired. Nobody is saying exactly why at this point and that's unlikely to change unless Littlejohn himself decides to speak up, but the connection seems clear enough: The interview got him canned. Many retail companies have policies that expressly forbid employees from speaking to the press, although it's usually more of a knuckle-rapping offense than one worthy of termination. Unless, that is, the employee in question makes detrimental or damaging comments about his employer, like, say, telling the world how easy it is to pirate games and then explaining exactly how to go about it. Something like, "All one has to do is type in the name of what they want and add 'torrent'," for instance. It's easy to look at GameStop as the heavy in this case, unjustly smacking down an innocent employee who was speaking his own mind on his own time. But by identifying himself as an employee, he went from being an anonymous guy on the street to a GameStop rep, in spirit if not in fact. Giving a crash course in game piracy in that capacity wasn't too bright; there may be more to it than just that but I think the reality is that if there's anything at all surprising about this case, it's that in the end, RapeLay itself probably had very little to do with why he was actually fired.